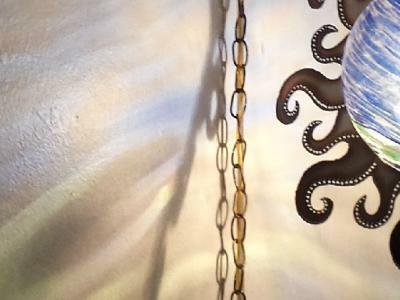 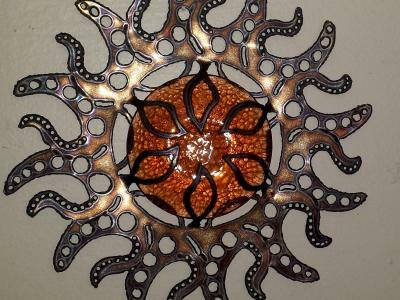 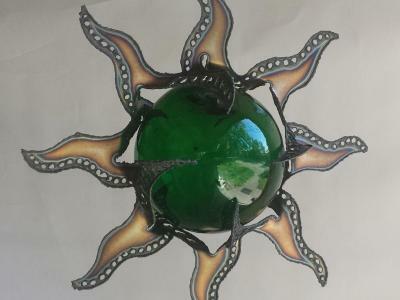 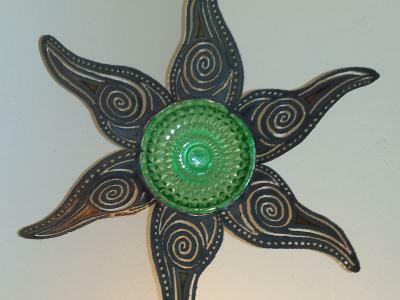 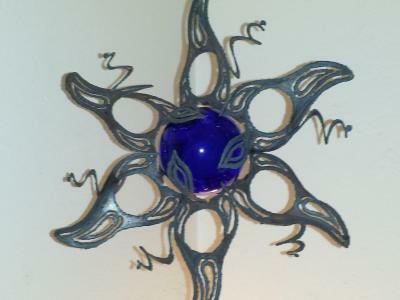 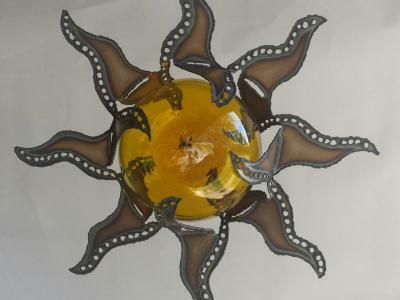 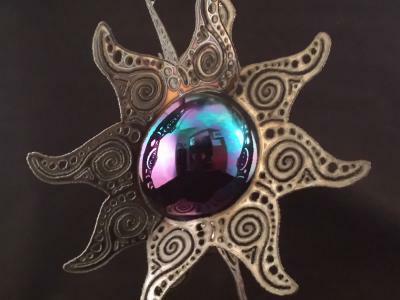 Recycled, or Repurposed candle holders make great material for creating a beautiful ‘Sun Burst’. 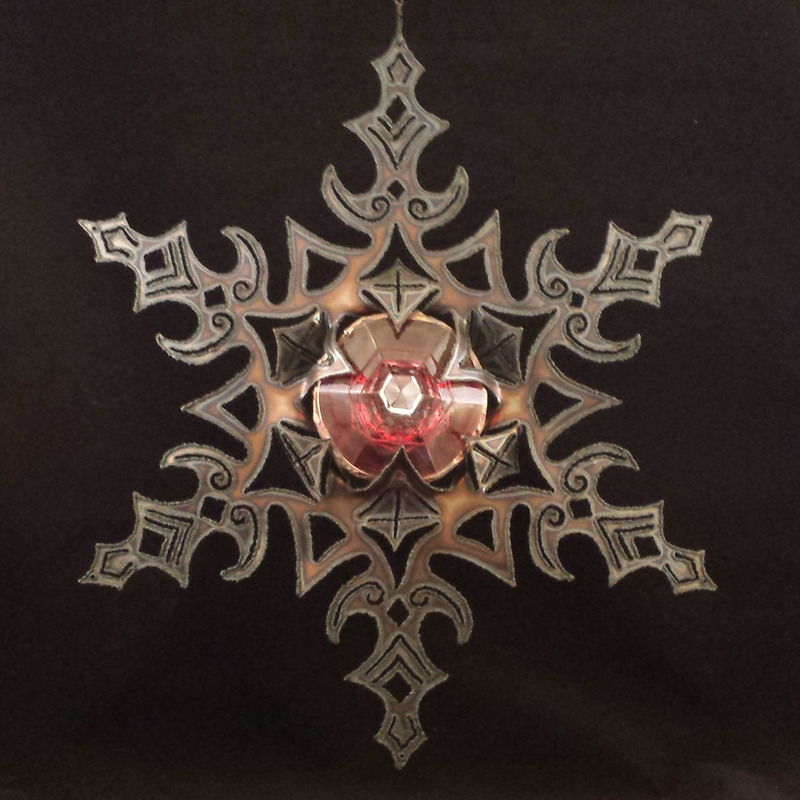 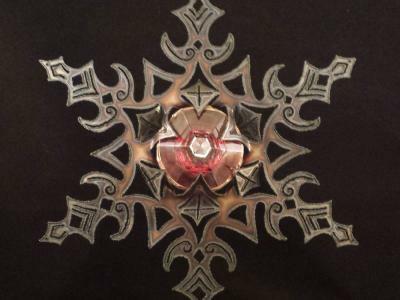 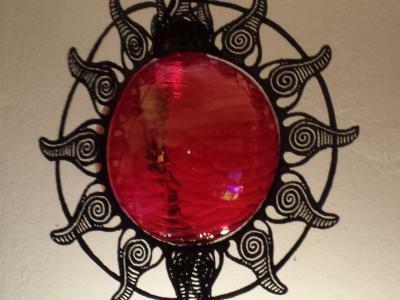 Recycled, or Repurposed candle holders, with a circle of red stained glass sandwiched in between. 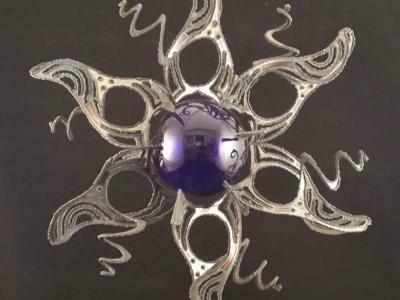 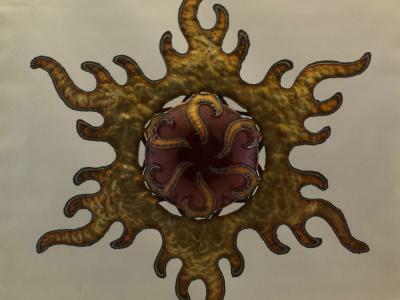 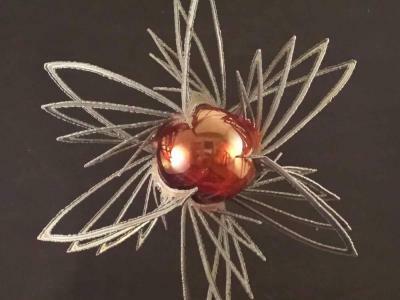 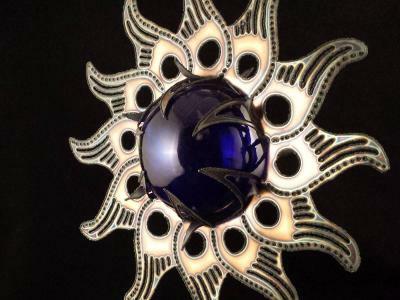 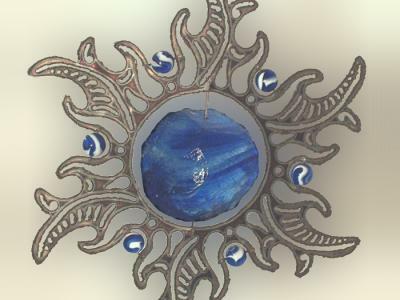 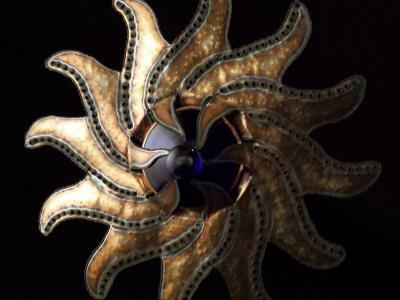 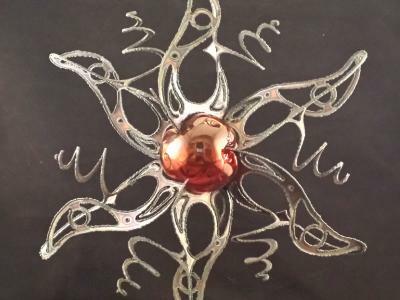 This sun is one piece of stainless steel cut and shaped to hold the center piece in a beautifully crafted fashion. 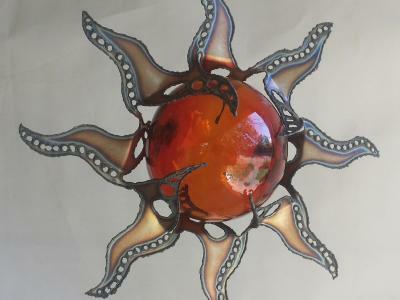 The lines in the sunburst are meant to accent the faceted effect of the candle holders centered in this sunburst.